First, the phrase “inbound marketing” was invented and popularized in the mid-2000s by HubSpot, a company that sells — of course — “inbound marketing software” and is receiving some bad publicity in the form of a book by former employee Dan Lyons that was released on April 5. HubSpot’s first hires included a head of sales and a head of marketing. Halligan and Dharmesh filled these positions even though they had no product to sell and didn’t even know what product they were going to make. HubSpot started out as a sales operation in search of a product. The use of these and other buzzwords has caused a new generation of marketers to enter the field without knowing even the basic terms and practices that underpin our industry. 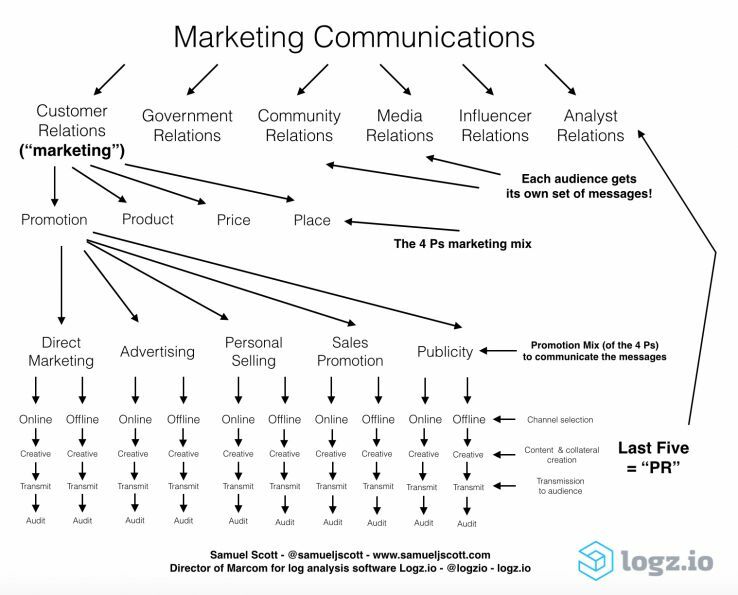 The result is that too many tech marketers are basing their work on faulty premises, hurting our profession and flooding the Internet with spammy “content.” To understand where the marketing world went wrong, let’s first compare how marketing departments operated before and after the mass adoption of the Internet. Imagine that it is the year 1996. What did traditional marketing departments think about? The four Ps. The promotion mix. Communications strategies. SWOT analyses. The five forces. Building brands. Then, by 2006, what did digital marketing teams think about? High Google rankings and more website traffic. Getting Facebook “likes” and Twitter followers. Keyword density. Building links. In the following years, however, online marketing changed. Google got better at stopping artificial attempts to manipulate rankings. Brands started to have to pay to have any Facebook reach. Most ​links to startups’ websites had always come simply as natural by-products of news coverage and publicity efforts and not SEO-type link building, as a March 2016 study by Credo founder John Doherty published on Moz found. But “inbound marketers” had always been wrongly declaring — without any proof or evidence — that “outbound” strategies such as advertising, PR and publicity were “dead.” (See Gartner’s Martin Kihn’s refutation of such boneheaded claims.) So, they still needed to differentiate themselves somehow to remain relevant and keep their staff salaries, client retainers and software users. Anyone who needed to be convinced of the truth of that statement has no business working in the marketing industry. The content has always been the most important part. It’s a pandering beer commercial that is shown on TV during the Super Bowl. It’s a shocking video of a publicity stunt that spreads throughout Facebook. It’s a duckface selfie photo that a narcissistic millennial posts on Instagram. It’s a contributed article to a major news outlet (such as this piece, which will probably be ignored in the marketing community because attention-hungry marketers must always claim that some “paradigm has shifted” to build a name for themselves even though nothing significant ever really changes). If the beer commercial falls flat, then nothing else matters. If the publicity stunt does not attract the public’s attention, then nothing else matters. If the duckface selfie fails to receive enough “likes” — well, that would actually never matter in the first place. 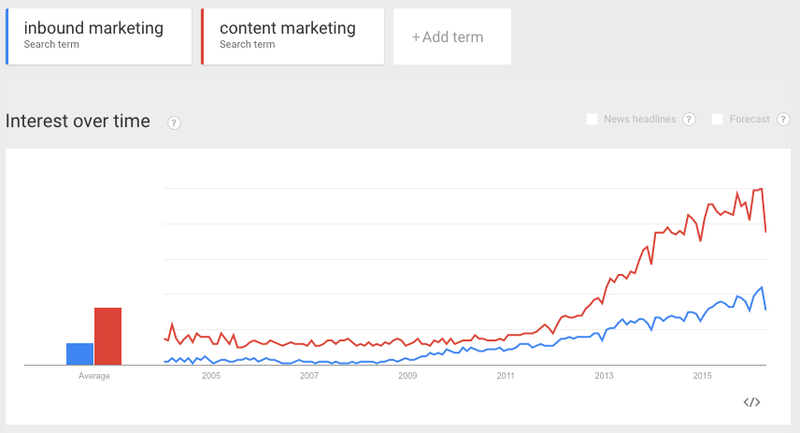 In the end, all marketing is “content marketing” because all marketing uses content. Most people who use the generic word “content” are unsure of what they are precisely doing. If it is an advertisement, say so. If it is sales collateral for a direct marketing campaign, say so. If it’s a publicity video, say so. Defining a creative precisely will help you to know the best practices for that specific type of collateral. We never call anything that’s good “content.” Nobody walks out of a movie they loved and says, “Wow! What great content!” Nobody listens to “content” on their way to work in the morning. Do you think anybody ever called Ernest Hemingway a “content creator”? If they did, I bet he would punch ‘em in the nose. If, for example, what you are really making is an advertisement, then do not call it “content” — be proud that you are making a commercial for your company or client and then make it awesome enough so that people will remember you years later. Advertising is the use of paid placements in mass media outlets and channels to increase brand awareness and create brand associations among a mass audience. Personal selling is the use of salespeople and is often the chosen strategy when companies are selling expensive B2C products or B2B products with long sales cycles. Sales promotion is the use of short-term incentives to encourage the purchase or sale of a product or service through discounts and coupons. Publicity is increasing the public visibility or awareness through (owned or earned) media. Such examples, by the way, are almost always from mass-consumer brands. It’s extremely rare to see high-tech startups doing anything similar because of the nature of the industry. The tech startup world loves direct marketing. Why? Startups live or die based on precise analytics and growth rates, and direct marketing platforms easily provide these metrics. Google’s recent announcement of its Analytics 360 Suite is merely the latest attempt to cater to this demand for this information. Whether one’s desired direct marketing channel is email or Google AdWords or Facebook, all of those platforms come with precise data that can measure opens, “likes,” clicks and shares, as well as any resulting purchases, conversions or downloads. A/B and multivariate tests can be run to squeeze out every possible increase in conversion rates. Moreover, marketing automation platforms are simply ways to run all direct marketing campaigns specifically and efficiently from a single place — they are not “all-in-one marketing software platforms” because they cannot help with other types of marketing such as advertising and publicity campaigns. No automated system or algorithm is creative in a way that will amaze human beings. To become better marketers, those in the tech startup world need to … read a Marketing 101 textbook. 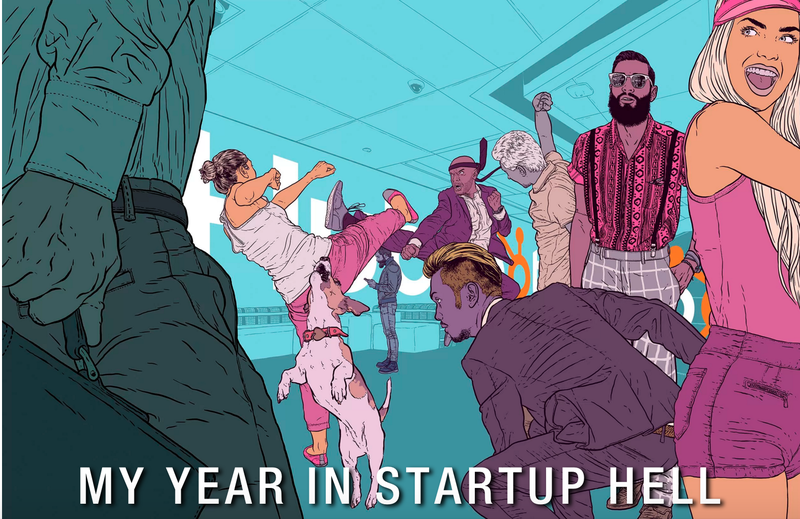 Still, the startup tech world has no patience for the time it takes to build strong brands, which is what advertising — and publicity, to a lesser extent — has always done. Marketers need direct responses in the form of trackable sales, leads, downloads and installations as quickly as possible to satisfy impatient investors and potential acquirers. Moreover, for advertisers themselves, online advertising — as I wrote in a prior TechCrunch column and discuss as a marketing speaker at various conferences — is a hotbed of fraud, corruption, privacy invasions and kickbacks that is sleazier than Don Draper at his worst. Get back to the marketing basics. Over the past decade or so, many digital marketers entered the field from the technical world and, therefore, lacked any traditional marketing education. That’s why they focus on algorithms, discuss how to automate best practices and invent random new terms rather than think about how to build brands with the techniques that have been developed over the past century. Learn about direct marketing strategy, advertising strategy and publicity strategy within the promotion mix and then apply those traditional principles to your online and offline channels of choice — whether they will include television, Facebook, news outlets, Google AdWords or anything else. Essentially, it is completely changing one’s “marketing algorithm” to integrate traditional and online marketing best practices. Do not separate traditional and online marketing teams. The more that human activity moves online, the more that traditional and digital marketing will become just “marketing.” Direct marketers will need to know how to apply the best practices in their work to both online and offline channels. The same will be true for advertisers, publicists and salespeople. A good publicist, for example, should know how to get a product on national TV as well as spread on Facebook. Explore alternatives to direct marketing. Technical people are very good at marketing analytics and algorithms, but they are not always very creative. However, advertisements such as the Dollar Shave Club one mentioned earlier and publicity campaigns such as Israeli PR agency Blonde 2.0’s work for the Yo mobile app can deliver huge results. Remain skeptical at all times. Marketers should be the most difficult people to whom to market, but even we can be bamboozled. Ask yourself: “How much money will this person or company make by popularizing this idea?” Whenever marketers claim that “everything has changed” or that something is “dead” or that some new buzzword “is the future of marketing,” ask for evidence. Make them cite their sources and explain their reasoning. Most of the time, they are just full of it.